There may be several reasons why you might want a custom automotive fabrication for your vehicle. If you’ve got a vintage car and are looking to restore it, this process can be used to help repair and replace missing or damaged panels or car parts. Perhaps you simply want to customise a car or want to enhance performance? Fabrication can be used for that too and our team is on hand to help. With a 20-year track record of restoration and repair for both modern and classic cars, White’s Bodywork have the professional team that is able handle all your custom automotive fabrication needs. However complex the job or challenging the vehicle restoration, Phil and his team are here to help. There are few garages in the Sussex areas that offer this kind of repair facility and not that many around the UK in general. It takes a good deal of expertise as well as access to the right equipment if you want to get any form of vehicle fabrication right. Many classic car enthusiasts come to us because of our ability to deliver fabrication solutions that fit in with the age and style of the vehicle they are trying to restore. It’s something the reputation of our business has been built on over the last couple of decades. At White’s Bodyworks, we never quite know when the next classic car is going to come across the garage floor. It’s something that we look forward to and the challenge is always an experience we cherish and except with pleasure. Over the years, we’ve seen some magnificent vehicles at the garage, including an amazing 1934 Wolseley that fabricated parts for. We’ve even seen the odd Lamborghini now and again as well as a Jenson Interceptor. Working with classic cars requires a great deal of thought and even a delicate touch on occasion. When panels need to be replaced, either because they have rusted through or are too damaged to repair, making sure that any changes fit in with the design and history of the vehicle can be challenging and certainly requires expert knowledge and skill. t’s not just panels that may need to be replaced with a classic car restoration. Many parts may no longer be available to buy so finding or making alternatives becomes important. 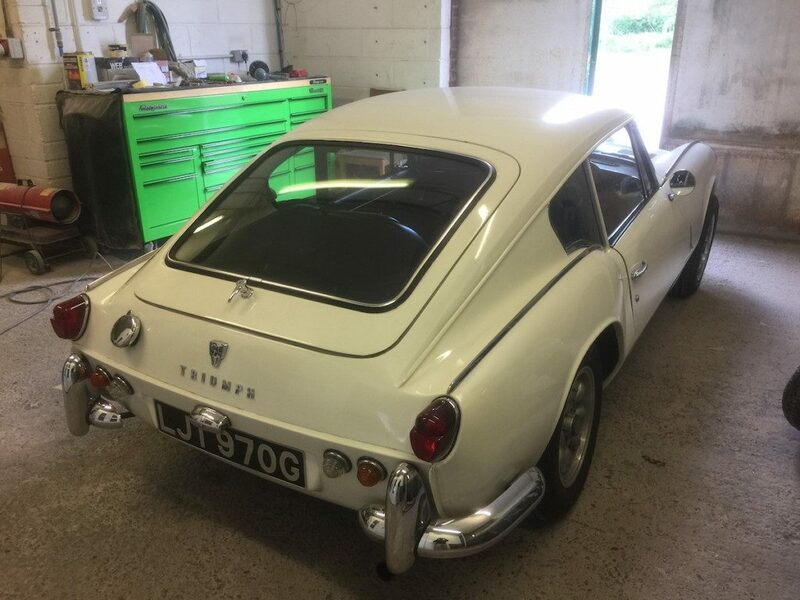 Customers often want the restoration to return their car as near as possible back to the original condition when it came off the production line. Obviously, the older the car or bike, the more difficult this may be for an ordinary garage. That’s why you need to work with classic car enthusiasts who have a history of delivering quality work for a range of vintage vehicles. There’s 20 years’ experience behind the team at White’s Bodyworks and a lot of that has been achieved working on classic cars of all kinds. We’re one of the few garages in Sussex as well as the rest of the UK that has the facilities and the skill to handle custom automotive fabrications. Phil and the team work closely with classic car owners to make sure their needs are met and the correct fabrication provided, whether that’s panelling or car parts. If you’re searching for a bodywork garage that ticks all the boxes when it comes to the repair and restoration of classic cars, including custom automotive fabrications, contact the team at White’s today.